Gunmetal beaded choker with pearl like teardrop pendant. 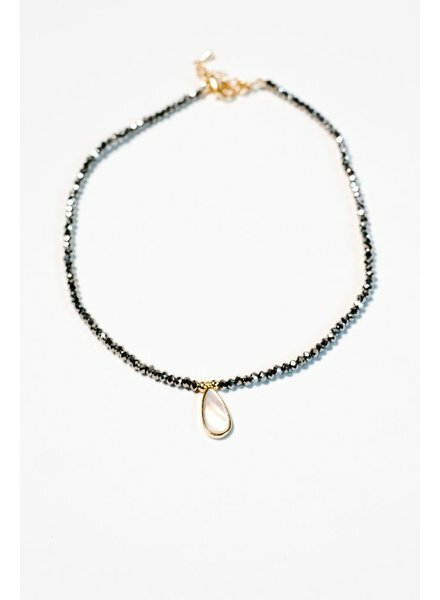 Choker measures 12 inches long with gold hardware. Optional 2 inch extender.